Last year our high school started a series of workshops called writing in the discipline. The goal of the workshop series was to help teachers find ways of including frequent (ideally daily) low stakes writing in their classrooms regardless of the content area they taught. All staff members and students received a composition notebook (my idea). Staff were expected to model writing and students were expected to bring their composition books to each class. The momentum at the beginning of the year quickly died out by second semester once students got the hang of using laptops and iPads 1:1. Not only that, the writing was missing an authentic audience. We assumed that students would feel more comfortable with low stakes writing that was private and given less feedback. However, the Age of the Diary is long past. We now live in an insta-blogged world where students are used to viewing Instagram or Tumblr pictures, reading the minute statuses of hundred of “friends”, visiting blogs/vLogs about current issues and commenting on random posts all in hopes of increasing interaction and garnering 1,000+ likes. Today’s students are a lot more open to public exchange than students in the past. Teachers, parents, administrators are right to be afraid of this increase in students’ public interactions but instead of blocking applications and writing stricter policy geared toward monitoring and reigning in student access to the internet, we should be providing them appropriate interactions that allow them to learn digital citizenship and engage in educational activities without making them digital hermits. Students should be allowed to view and interact with a variety of content that can serve as models for writing. They should be allowed to blog/vLog on topics that interest them and share their posts with students from other states or countries. They should be allowed to share visual stories that highlight their unique take on current events. They should be allowed to create digital content that can be viewed all over the world. 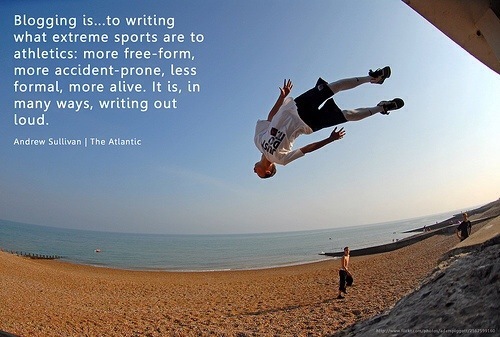 Having this freedom is a great way to motivate reluctant writers. It is also a great way to improve reading skills. For those still concerned about the general public accessing student content, there are a variety of platforms (Edmodo, Versoapp, kidblog, Boom Writer, etc.) that allow you to create closed communities within a single classroom or throughout the entire school in which to share and respond to writing without risking student exposure to the general public. We need to prepare students for an increasingly digital future. We also need to continue to find ways to engage our insta-minded students in the sometimes arduous yet always useful writing process.